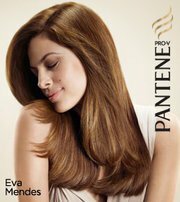 Pantene North America on Facebook is giving away up to 454,000 coupons for a Pantene Shampoo or Conditioner, 12.6 oz. (Up to $4.99 value). I’m not sure how many they’ve already given out, so you’ll want to hurry over there and “Like” them on Facebook. Then fill out the information, and you’ll receive a coupon in the mail within 4-6 weeks.